Sorry man but I'm not doing that anymore. Been playing Bravely Second: End Layer. Pretty awesome game with awesome music! Lemme just make something clear. The equilibrium NEEDS to be on par with Star Wrath and Meowmere to be viable. otherwise people will label it as pointless and op, because it WILL be. Good point. Go mention this to DJEN because he created it's stats and effects. He'll take that into account with adjusting Equilibrium's stats. Do you have an email? I made you a crappy sprite and I would like to send it to you. You can just post it on here using a BBC code. You can use Imgur to upload and share images. That's what I use to share pics on forums like this one. Or if you don't want to post it in public do the same but send the picture in a private conversation. People have given your idea a chance, and most have said they do not like it. You cannot just wait till its been given tons of phrase to consider it "given a chance"
Oh. I assumed you needed to sprite to create the banners. Believe me, there are some bits in banners that need some of the skills of spriting, but definitely not all the time. What if your Equilibrium shot a black blade and a white one that spiraled in opposite directions like the True Nights Edge? That is an interesting idea, but it would be best if you just post it on the thread. I can't mods finally remembered I was supposed to be banned and completed it. Oh. Ok, I'll mention it to DJEN and see what he thinks. 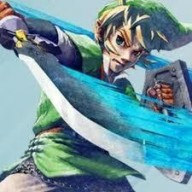 I'm a huge Zelda fan and a big fan of Terraria. I'm glad to see how far it has come! Originally I was stuck using the cracked version that other people have made. I know, that's not cool but I was able to make up for it when I was finally able to purchase it on Steam! And thank God that It's finally available for Mac!